The last cookie I made was my favorite. 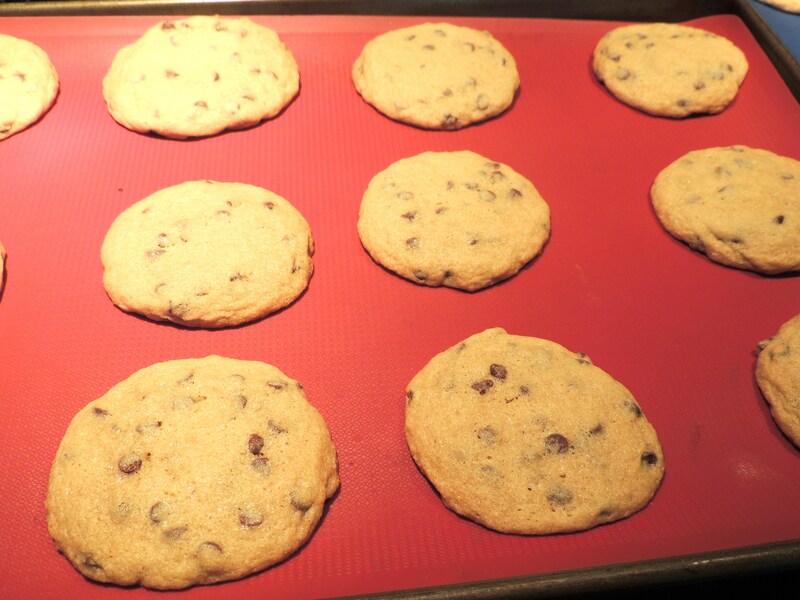 I am sure you know by now that chocolate chip cookies are my favorite dessert in the whole world. I have loved them since I was a kid. I used to dream about them actually…okay I guess that speaks volumes huh?? 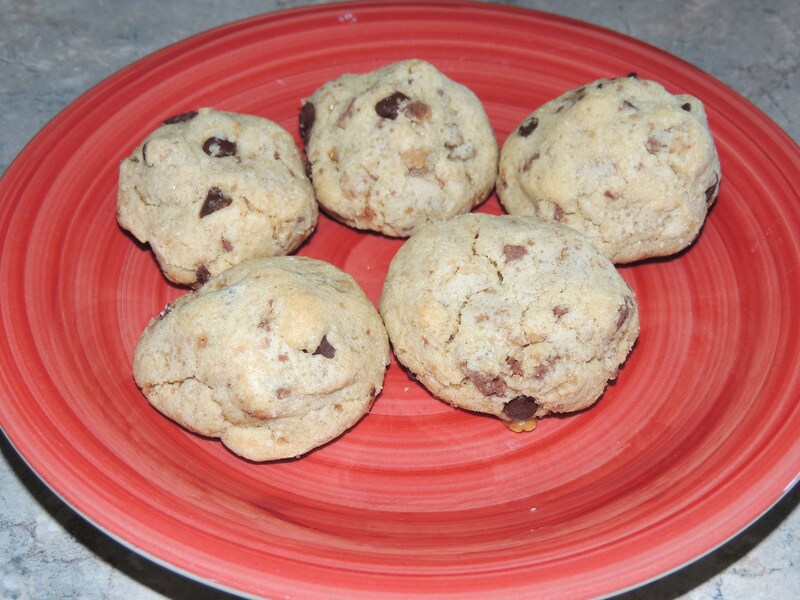 😉 Well this recipe is different because it is the original chocolate chip cookie recipe created by Ruth Wakefield in the 1930’s. Ruth Wakefield was a dietician and food lecturer, and she literally made the cookies by accident. The story goes that she was attempting to make butter cookies for the guests at her family’s Inn named…wait for it…The Toll House Inn. She decided to make chocolate butter cookies, but discovered that she was all out of baking chocolate. So she improvised and added two Nestle semi-sweet chocolate bars that she broke into pieces. Expecting the chocolate to melt into the dough, she was surprised to see that when she took the cookies out of the oven, the pieces were still intact. 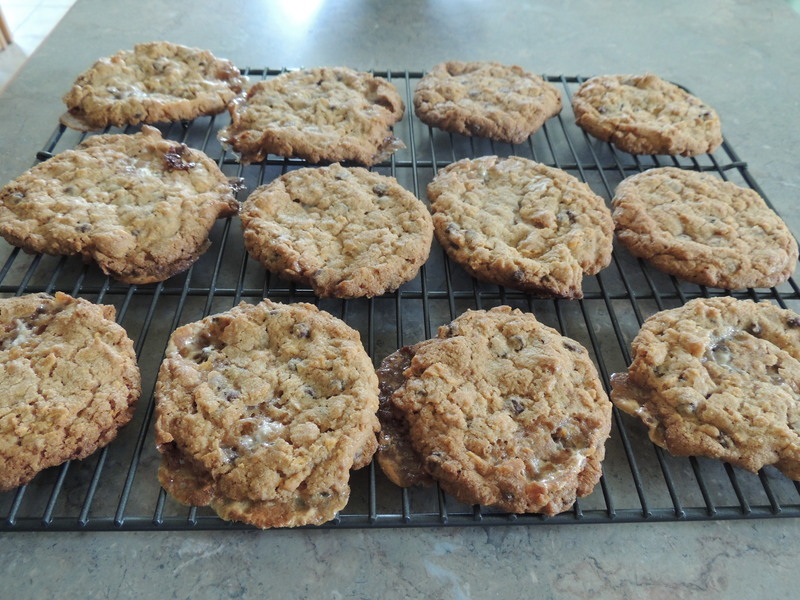 At the time, she called her creations “Toll House Crunch Cookies.” the name evolved to chocolate chip cookies. 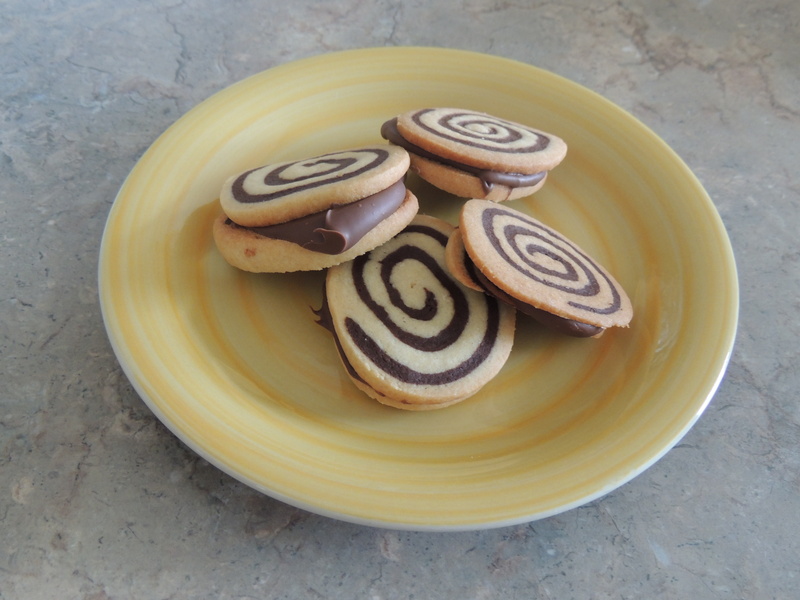 The cookies became extremely popular locally, and her recipe was published in a Boston newspaper. Ruth’s “Toll House Crunch Cookie’s” popularity increased, as did the sales of Nestle’s semi-sweet chocolate bars. Andrew Nestle and Ruth Wakefield came up with an agreement. 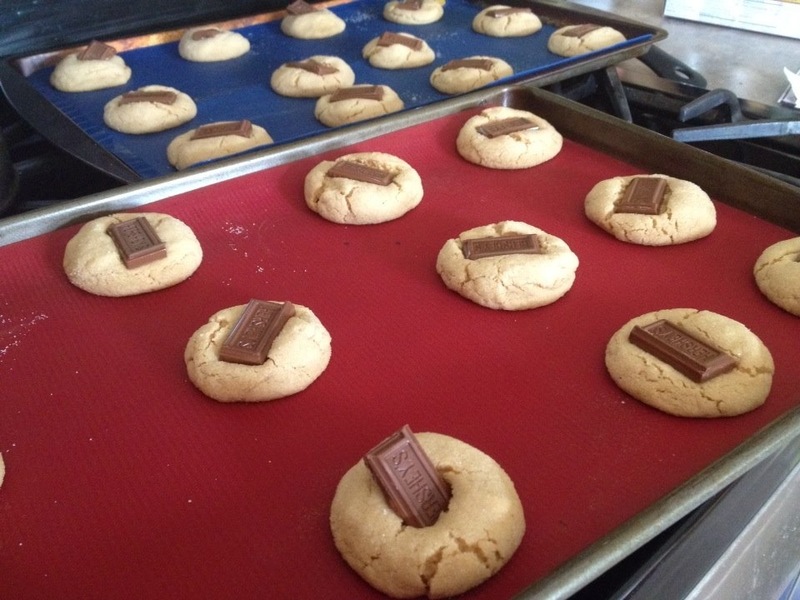 Nestle would print the Toll House Cookie recipe on its package, and Ruth Wakefield would be given a lifetime supply of Nestle chocolate in return. Additionally, Nestle then began to produce semi-sweet chocolate morsels that we know today as chocolate chips. All I have to say thank goodness Ruth Wakefield messed up. I mean talk about your happy accidents!! Speaking of happy accidents, I happened across her recipe and knew immediately that I had to try it. 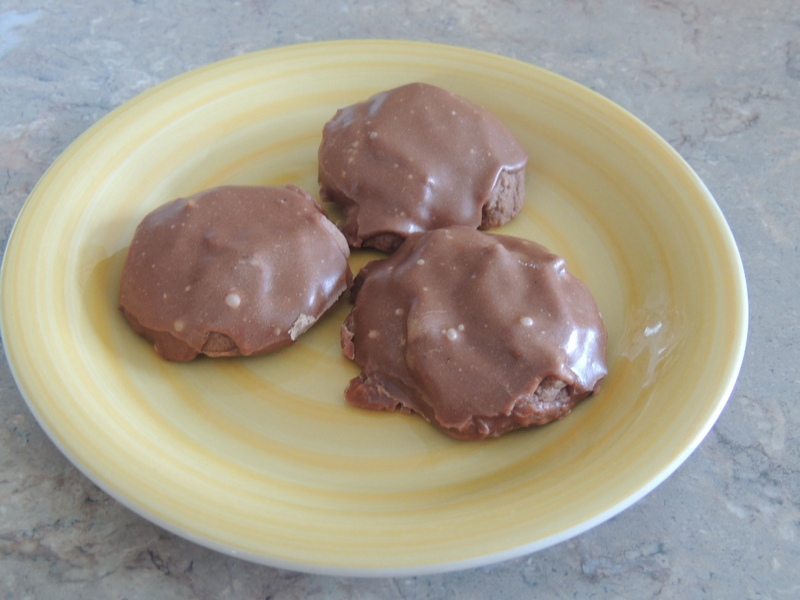 Here’s the link to the recipe from the 1948 edition of Wakefield’s “Toll House Tried and True Recipes.” http://lostrecipesfound.com/recipe/40s-toll-house-chocolate-crunch-cookies/ I am happy to report that the cookies were great and I will happily make them again. THANK YOU RUTH WAKEFIELD…I THINK I LOVE YOU!!! 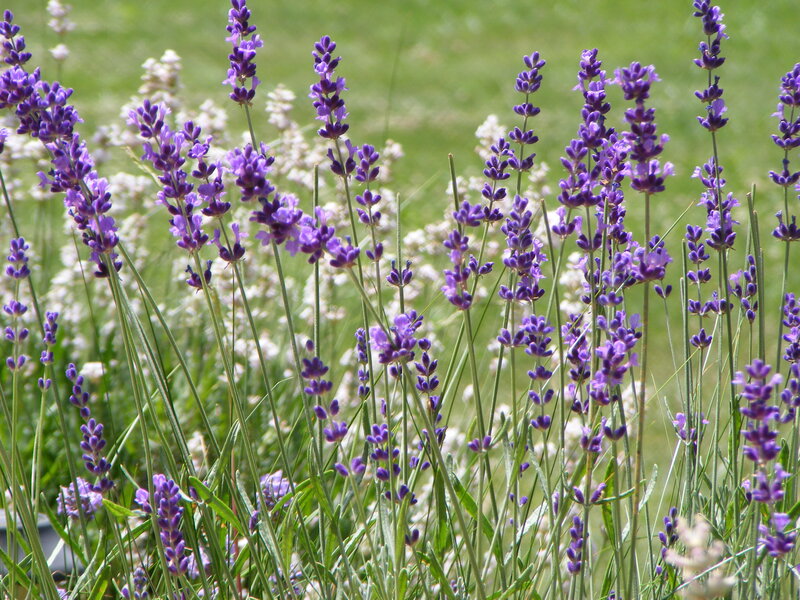 As I write this, the kids and I are gearing up to go to the lavender festival. We used to go every year, but now we only go every couple years or so. The one thing I am really looking forward to is eating the lovely lavender lemon scones provided by “Victoria’s Delights.” They have a tent at every festival, and the scones are AMAZING! To go with the scones, we always get lavender lemonade to drink…delish! I am super excited to go to the festival, and check out the vendors and the treats. If you are interested in the festival, check out the website:http://michiganlavenderfestival.net/ If you are in the area, check it out…it’s pretty cool. This entry was posted in Chocolate, Cookies and tagged cereal, choclate chio, chocolate, coconut, cookies, cornflake, festival, frosted flakes, Hershey, lavender, love, Marshmallow, Nestle, nutella, pinwheel, Ruth Wakefield, texas sheet cake, toffee. Bookmark the permalink. great blog as always…i think you missed your calling as you are a great baker and awesome writer. not too bad as a mother, wife and daughter either. i love you kiki !! !